In this 47th year of commemoration of the beginning of the armed struggle for national liberation, this paper argues that the Eritrean struggle for liberation was not started 47 years ago on 1st September 1961 but 50 years ago in 1958 when the Eritrean flag was lowered and only the Ethiopian flag was permitted, and political rights and civil liberties came to an end in 1958 in violation of the of UN 390(AV) Resolution. This violation led to the rebirth of the Eritrean people's struggle for independence in 1958. We need to distinguish the Eritrean people's struggle which began in 1958 from the armed struggle which was launched in 1961 by Idris H. Awate, leader of the Eritrean Liberation Front’s military wing. When we look back to our history of the struggle for independence the ELF leaders intentionally undermined the genuine initiation of the struggle by the ELM. However the timing of the armed struggle was launched just in mere competition with the Eritrean Liberation Movement (Haraket) by the ELF leaders without any clear programme. Neither the ELF nor EPLF were founded by genuine leaders. The only genuine and progressive liberation movement was started in 1958 by the Eritrean Liberation Movement ( Harakat) whose members believed that Muslim and Christian are brothers and their unity make Eritrea one. Regarding this there is more explanation of this in sections 3.1and 3.2 of this paper. The start of the armed struggle became an incentive for many of the youth to join the armed struggle but they became victms of the former revolutionary leaders' power struggle. During the liberation struggle the ELF and EPLF leaders never hesitated to eliminate anyone who challenged them. For example Menkaa in the EPLF and Falul in the ELF. This paper also provides an overview of the crimes committed by the former revolutionary leaders and their collaborators who are now members of the Eritrean government and opposition groups. They have refused to acknowledge their crimes and apologise to the Eritrean people. Like the execuation and killing of innocent fighters and civilians during the liberation struggle, the killing of innocent citizens has never stopped. In fact it got much worse during the broader conflict as many members of the Eritrean Defence Force were executed by the order of their own military commanders, and after the Reformist movement 2001. It is very sad that in commemorating Martyrs' day neither the ELF nor the EPLF former revolutionary leaders never wanted to officially honour those fighters who were killed by the EPLF and ELF security forces or special units through their leaders’ orders. The reason for documenting crimes committed against civilians and fighters over the last 50 years by the Ethiopian government, ELF and EPLF during the liberation struggle, and by the EPLF/PFDJ after the liberation is to make the younger generation aware of those crimes. 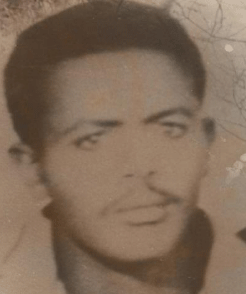 It is also to tell the public the truth that the Eritrean liberation struggle started 50 years ago in 1958 and not in 1961 and that Idris H. Awate was the first martyr in the Eritrean armed fight against Ethiopian annextion. There were other martyrs before him like those who lost their lives in a general strike protesting against the violation of the of UN 390(AV) Resolution by the Ethiopian government in 1958, and others who sacrificed their lives for the freedom of Eritreans before 1958, such as Abdulkadir Kebire who was assassinated by members of the Unionist Party in 1949. Therefore, this paper convey the message that the Eritrean people should learn from their past, of their naivete in trusting those former revolutionary leaders and their collaborators who set back the victory of the liberation struggle in the 1970s and are still within the opposition leadership. Apart from this it has no other political motivation. Since these leaders have committed crimes or colloborated with the former revolution leaders, changing the name of an organization such as the ELF.RC to EPP does not bring a solution since the leaders are the same people who have never wish to acknowledge their crimes committed during the liberation struggle as will be seen in Section 3 of this paper. The Eritrean people do not have problems with the names of Fronts such as the ELF, ELF.RC, EPLF etc because every Eritreans participated in those fronts as a fighter, a member of a mass organisation or a simple supporter during the liberation struggle, but the solution for the current problem is not changing the name of the Front such as ELF.RC to EPP but changing the leaders of the Front. To make it easy for the readers there is a hyperlink at the end of each section which might help the reader to move to the next section. The contents are categorized in the following sections and subsections. 1. Commemorating a martyrs’ day. 2. Chronological evidence of these atrocities committed against civilians by the Ethiopian goverment. 3. Some evidence of the ELF and EPLF leaders' crime against fighters and civilians. 3.1 The ELF Leaders’ crimes against the Harakat fighters in 1965. 3.2 Crimes committed by the former ELF revolutionary leaders after 1965. 3.3 The ELF and EPLF leaders' conspiracy of killing fighters causing disappearances. 3.4 The consequence of the civil war 1972-74 and accusations against leaders. 3.5 Purge and liquidation in the EPLF 1973-1980. 3.6 Purge and liquidation in the ELF in 1970s. 3.7 Crimes committed against ELF fighters by the EPLF in the 1980s. 3.8 Crimes committed against civilians by the EPLF and ELF in the 1970s. 4.1 Lists of disappearances and killings from 1991 to 2001. 4.2 Brief information on prisons and victims.